Are Your Light Bulbs A Bright Idea? Lighting in our homes counts for 1/4 of our energy bills. The type of light bulb we use at home can play a big role in just how much- or how little- we pay each month. So what kind do you use? What kind should you use? And what is the difference between them all? Incandescent Light Bulbs are the most inefficient, and as a result, they’re also the ones that will cost you the most. At $0.10 per kilowatt hour, running for 8 hours a day, just one 100-watt incandescent bulb will cost over $22 more than a 25-watt CFL bulb per year. Incandescent bulbs also require more frequent replacing- so you’ll be spending more on light bulbs, too, as the average lifespan of an incandescent bulb is 600-700 hours. With this information, it’s no surprise that incandescent bulbs are being phased out and quickly becoming a thing of the past! A Compact Fluorescent Bulb, aka CFL. 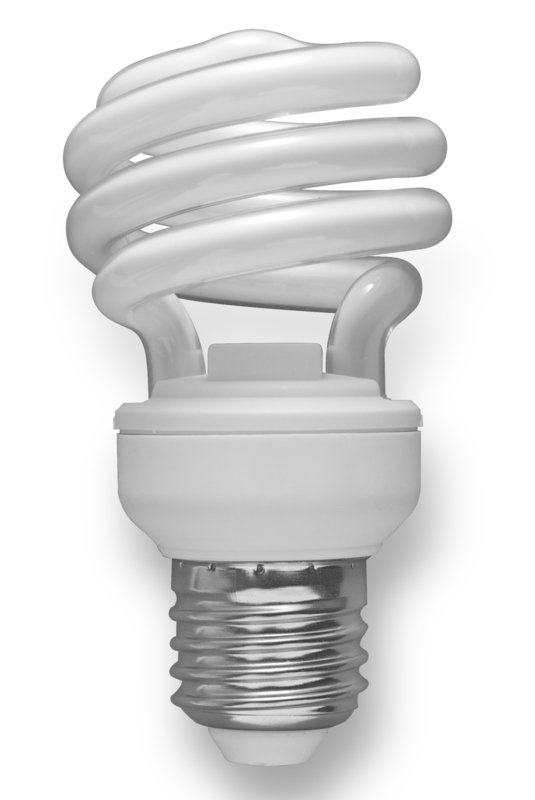 Compact Fluorescent Light Bulbs (CFL) use 25% of the electricity of a comparable incandescent bulb; however, they aren’t as energy efficient as LEDs. Their lifespan also greatly exceeds those of incandescent bulbs; where an incandescent bulb will last 600-700 hours, CFL bulbs will last 7,000-10,000 hours, adding to a household’s savings. 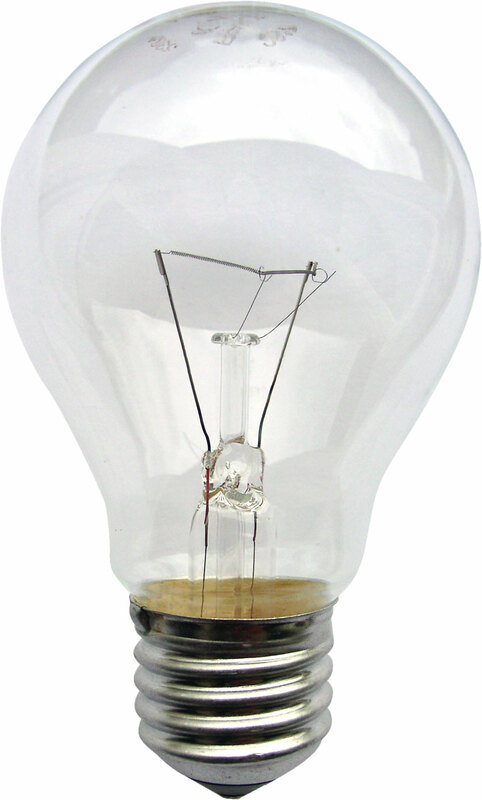 The disadvantage of CFL lights is that they contain mercury inside the bulb, which can cause problems if the bulb breaks. As a result of this mercury, CFL lights are deemed to be Household Hazardous Waste, and need to be disposed of with other HHW products, like oil paint and batteries. Look familiar? LEDs are gaining in popularity. Light-Emitting Diode Bulbs (LED) last a lot longer than other lightbulbs; their average lifetime is 50,000- 100,000 hours! As a result, even though these are often more expensive at the time of purchase, fewer bulbs are needed over time. Fortunately, as manufacturing technology advances, the prices for these bulbs will likely start to lower. 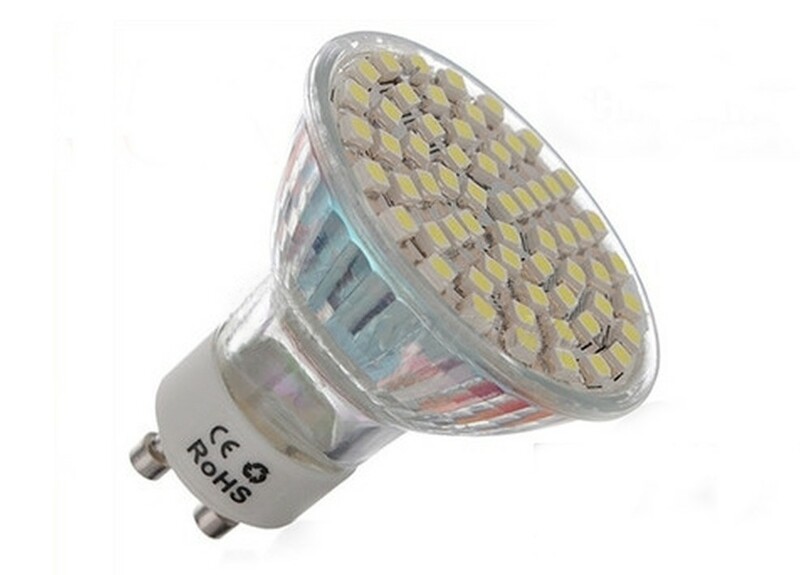 LEDs use very little energy, and do not contain toxic chemicals, so they are not considered household hazardous waste. One 25W LED costs $30, but will last 15-20 years. LEDs and CFLs are becoming more and more popular when individuals are looking to change their bulbs. Their impressive lifetime and their reduced environmental effects also play a major role in the switch from incandescents to CFLs and LEDs. Sustaining home energy auditing activities makes sense; this is why the US and the UK have both made significant commitments to their own National programs to sustain home energy audit/retrofit/financing programs. At the same time that our counterparts in the developing world are taking home energy reductions seriously, the Canadian Government took a step backward by not having a long-term solution in place before cancelling the ecoENERGY Retrofit – Houses program on March 31, 2011. 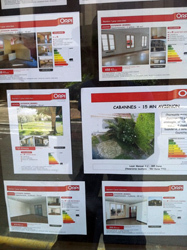 Homes in France must post the energy rating with the listings. measurable benefits in reducing greenhouse gas emissions to combat climate change. Energy audit clients of Green Venture, a founding member of Green Communities Canada, on average reduce heating and cooling costs by up to 21% and reduce their household greenhouse gas emissions by over 3 tonnes (3,000 kilograms) per year. Considering the large number of families that participated in this program, these benefits really add up. Green Venture is a member of the Save ecoENERGY Coalition who feel it is essential to create a long-term solution to sustain the residential energy audit industry without the need for ongoing federal home retrofit grants. The coalition represents over 1,600 manufacturers, wholesalers, suppliers, home renovation contractors and energy audit businesses across Canada. 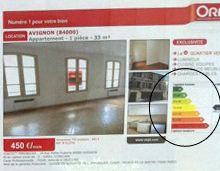 Close up: Home energy rating on a house listing in France. Green Venture agrees with other coalition members that this plan builds on three well-supported strategies and can realise the goal to enable the marketplace to sustain ecoENERGY activity, without the need for ongoing federal grants, within four years. The Federal govenment’s proposed one-year extension of the ecoENERGY progam does not allow enough time to complete work on steps 2 and 3, above. Therefore, the Save ecoENERGY Colalition strongly recommends the renewal of ecoENERGY for a four-year interim period. Please let your leaders know if you feel the three step plan is a practical and measured approach to sustain this important sector that provides so many benefits to Canadian families and the environment. Sample letters can be found at www.saveecoenergy.ca. For more information on this topic, please visit www.saveecoenergy.ca.